Home Publications Happy First President's Day, Kazakhstan! Happy First President's Day, Kazakhstan! With the collapse of the USSR and the emergence of new independent states, profound changes have occurred in the global system of international relations. There was a formation of an international system based on the fundamental ideological, social and economic transformation of the world. The young independent state of Kazakhstan was faced with the task of creating favorable conditions for a sovereign existence, maintaining stability, implementing the necessary socio-economic transformations to improve the life of the country's population, finding the optimal place for Kazakhstan in the international community, achieving international prestige and respect for the country from other states and nations of the world. The intensity and depth of these difficult tasks, their focus largely determine the nature and viability of any human society. The entire historical experience of the formation of the Republic of Kazakhstan throughout the years of independence indicates the depth and significance of the set ambitious goals, where realism and pragmatism, consistency and tolerance are closely intertwined. Undoubtedly, the solution of these tasks became possible precisely because the first President of Kazakhstan, Nursultan Nazarbayev, was and is at the helm of the young state.The strategic course of the country for peaceful coexistence and cooperation with neighboring states, with other states of the world in the new conditions of a multipolar world, defined by the President of Kazakhstan, was both the result and the instrument for establishing and expanding international relations of Kazakhstan, establishing sovereignty and independence of our state. It is no coincidence that it is thanks to a measured policy in many parts of the globe that Kazakhstan is now recognized. The rapid successes of Kazakhstan in socio-economic development, financial, legislative spheres, achieving the status of one of the leaders of the state in the post-Soviet space strengthens the conviction of the President in this special role, showing excellent organizational skills to consolidate the Kazakh nation to solve internal and external tasks . It is not by chance that the foreign policy strategy of the Republic of Kazakhstan is inseparable on behalf of Nursultan Nazarbayev. After all, foreign policy problems are not solved by themselves, a generator of foreign policy ideas is needed. For the young state, which began life in the post-Soviet space, what was needed was not weak, but powerful, not wandering and aggressive, but a consistent, purposeful, multi-vector foreign policy, which was actually created and implemented under the leadership of the President of Kazakhstan. The birth of a new state in many ways is similar to the birth of a new star. Some stars are born weak and quickly burn. Others eventually become more vivid and illuminate the way for mankind. Rapidly developing historical processes in the territory of modern Kazakhstan have proved their viability. In the 80-90's of the last century, these processes only gained strength, acquiring a vector of acceleration. Kazakhstan had to start from the zero cycle to build a system that meets the goals of industrial-innovative development. The first President of the Republic of Kazakhstan, Nursultan Nazarbayev, headed the whole path of modernization of the society with the support of the majority of citizens of a multinational state. An experienced politician and leader of Singapore Lee Kuan Yew was confident of the imminent collapse of the USSR, but "with genuine confidence, he anticipated the great future of Kazakhstan. And although many then perceived his words to our country only as a diplomatic compliment of the eastern guest, time showed that they were prophetic, "Kazakhstan's President writes in his book “The Kazakhstan Way". Kazakhstan today is the leader of socio-economic reforms in the CIS and South-Eastern Europe. In terms of economic growth, he is among the leading countries in the world. Nursultan Nazarbayev’s personality is comparable to such major historical figures of the past and present as Akbar in India, Peter the Great in Russia, George Washington in the USA, Charles de Gaulle in France, Mustafa Kemal Ataturk in Turkey, Margaret Thatcher in the United Kingdom, Den Xiaoping in China, Lee Kuan Yew in Singapore. Nursultan Nazarbayev continues the policies and traditions of our great ancestors, such as the sultans Kerey and Zhanibek, who founded the first independent Kazakh Khanate in 1465, and most of all, the great statesman of Kazakhstan of the 18th century Abylay Khan, who strengthened the traditional Khan's power and Kazakh statehood. These great historical figures of the past and the modern world with Nursultan Nazarbayev are united by a deep love for the Motherland, Kazakhstan, for their people. And a great desire to bring your country forward. Nursultan Nazarbayev is the chief strategist and architect of integration processes in the Eurasian space. Kazakhstan today is the economic locomotive of the Commonwealth and the new emerging EEU, the leader of Eurasia and Central Asia, a dynamically developing regional power. The unique and strategic project of our Leader of the Nation is a program of accelerated industrial and innovative development of Kazakhstan until 2020: new facilities, industrial enterprises are being commissioned, roads, schools, hospitals are being renovated, landscaping and gardening of cities and villages, hundreds of thousands of new jobs are being created. All this is the basis for the accelerated socio-economic development of our country. It should be noted that Nursultan Nazarbayev, during the time of independence of our country in all spheres, revived the spirit of our people, its consciousness, thinking, moral and spiritual values, traditions, its cultural and historical heritage. On the initiative of the Head of State, the dialogue of traditional religions, civilizations and cultures in Kazakhstan and the world is developing. The head of state Nursultan Nazarbayev adopted a unique long-term strategies which became a kind of compass, which shows our country a further path to successful development. The historical merit of Nursultan Nazarbayev is that Kazakhstan today is a modern, generally accepted state in the world with a dynamically developing market economy, with a large economic, industrial, scientific, cultural potential and new innovative technologies. It has become an absolute axiom and a synonym in the world for the triunity: Kazakhstan, Astana and Nursultan Nazarbayev. The most important advantage and credo of the Head of State lies in his professional ability and masterly ability to bring the fundamental basic reforms and transformations to a logical conclusion. The president has a unique quality of politics: to be able to listen to the interlocutor and absorb everything new that is in the world, and at the same time communicate his point of view and opinion to every citizen and person. For the citizens of Kazakhstan, the full scope and depth of the personality and multifaceted activities of the First President of the country Nursultan Nazarbayev as a great reformer and political leader of our time are obvious. He is rightfully entered the history of Kazakhstan and the world as the most authoritative and ingenious statesman of world level and a prominent scientist and thinker of the 21st century. In the context of a historical retrospective, the era of the multifaceted activities of the First President Nursultan Nazarbayev symbolizes the absolute historical triumph of Kazakhstan. Deeply understanding and realizing the genesis and scale of the reforms, we involuntarily reflect on what was the basis of our historic victories. We can rightly say that the basis and sources of success were that in the most crucial period in the history of the formation of Kazakhstani statehood, the Republic was headed by the Nation Leader Nursultan Nazarbayev, who has the greatest foresight and is able to consolidate the nation in the process of historical change for the benefit of the country's citizens national unity of Kazakhstan. In a short historical period, a framework of modern statehood with an earthquake-proof security belt along its entire perimeter was created. There was a transition from the totalitarian regime to democratic values, from socialist forms of management to market relations; through overcoming stereotypes of thinking, a new public consciousness was formed, adequate to the essence of the transformations being carried out in the country. At the turn of the century Kazakhstan already had a clear, stable economic strategy and economic practice of the Kazakhstan development path. This model was conditioned not only by the intention, the concept, the plan of the country's leader, but also by the resources of Kazakhstan, its geopolitical position, history and traditions, and culture. The republic headed by the President managed not only to maintain stability, but also to begin the process of formation of the Kazakh statehood. He did not have one universal solution or some single algorithm for the transition period. There was a hard work to find own and unique way of development, a global vision of the world, which makes it possible to understand what place Kazakhstan should take on the world map. Kazakhstan has always been open to dialogue, listened to new and unfamiliar ideas, positively perceived criticism in its address. If the experience of other countries was interesting for us, the leadership of the country boldly adopted and implemented it at home. So the method of trial and error was the formation of Kazakhstan statehood. In the future, a great intellectual work allowed the President of Kazakhstan to define a unique development path that has no analogues in the world, implying synchronous modernization of the main postulates of Kazakhstan society: the formation and strengthening of statehood, the market model of the economy, democratic principles, the main factor being the person and his problems. 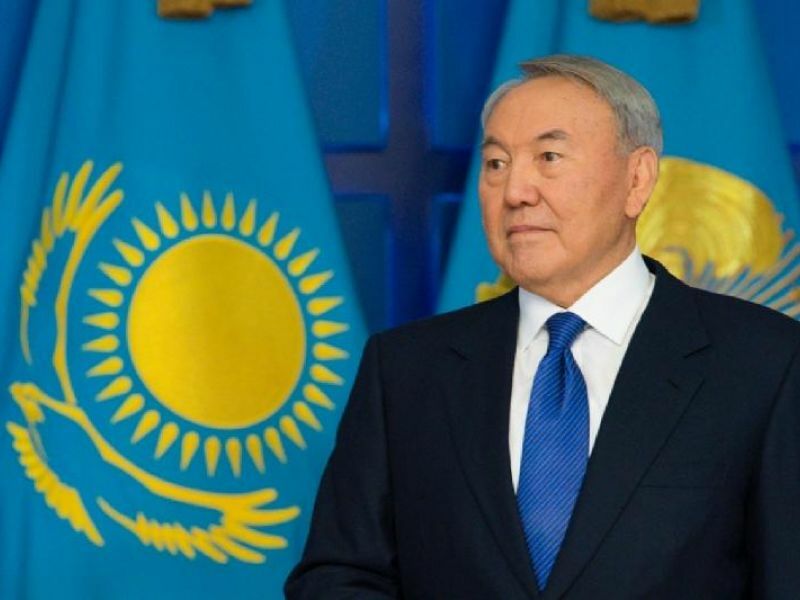 The realization of the planned and real achievements allowed Kazakhstan, undoubtedly, to recognize Nursultan Nazarbayev as the Leader of the Nation. "It was necessary to comprehend the essence of the radical changes that are taking place, to foresee the trends of further development, to choose the most effective strategy of transformation that meets the interests of tens of millions of people. And do it as soon as possible. History did not take the time for lengthy research and reflection. The world was changing at an increasing pace. And we needed to adapt not only the economic system, but also the general state structure, starting from its very foundations, and even the thinking of every Kazakhstani. In the world there were and are different leaders - reformers and conservatives, dreamers and pragmatists. Our President is the Leader-creator, which organically combines dynamism, an unquenchable desire for innovations of the West and the respect for the traditions, centuries-old values and social values inherent in the East. At the same time, Nursultan Nazarbayev has always been and remains the leader of his people. The credo and, perhaps, the most important secret of successes of the President at the dawn of independence, he absolutely defined himself - "to live with the people and live for the people". All these years, Nursultan Nazarbayev is firmly committed to this principle, by thoughts and actions strengthening the unity of the nation and Leader, confirming that the destiny of the country is his destiny. It was extremely true that it was due to our President 27 years ago, the multinational people of Kazakhstan, in the first free elections, entrusted its fate and the fate of the country by electing the First President. This wise choice of our citizens predetermined the paradigm of the formation and development of independent Kazakhstan not only for this 27 years, but also became an enduring factor for the confident and progressive development of the country in the future. To make history is the destiny of really great people with special qualities: a strategic vision of the situation and optimal ways of its development, a sharp analytical mind and phenomenal memory, unbending will and faith in the rightness of their choice, tireless working capacity and immense personal courage, a rare ability to achieve their goals . They lack such a trait as the imperfection of performance, which often delivers the most daring and good intentions from their actual incarnation. In his speech at the ceremonial meeting of the Supreme Council of the Republic of Kazakhstan, Nazarbayev stressed that the republic took a decisive step towards creating a new society, all citizens of which should be united by one idea. Kazakhstan will adhere to the principles of a free sovereign state''. The President called on the Kazakh public to make every effort to turn sovereign Kazakhstan into an independent subject of international relations, an active participant in the world economic space as soon as possible. All strategic undertakings were constitutionally enshrined in the Law on State Independence of the Republic of Kazakhstan of December 16, 1991. Since the first hours of declaring the sovereignty of Kazakhstan, many countries of the world have recognized it. The President received congratulatory messages on the recognition of the independence of the Republic of Kazakhstan from the heads of foreign states: Turkey, Romania, Slovenia, USA, Ireland, Egypt, Afghanistan and other countries. The establishment of diplomatic relations, international cooperation in the economy, the development of ties in the sphere of culture began. From this moment, Kazakhstan began counting its independence. The Republic took the first steps towards establishing integration ties on the Eurasian platform. Thanks to the decisive, systematic and energetic measures taken by Nursultan Nazarbayev, the socio-economic reforms that we are proud of today have been carried out. The main thing is that when other new independent states were solving immediate problems, our country began to develop on the basis of a long-term reform strategy and defined its goals until the then distant 2030. The 90s became a decade of formation and prepared a phenomenal breakthrough of the country's economy. At the first stage of development, Kazakhstan under the leadership of its leader managed to pass post-Soviet transit in the shortest possible time and carry out radical structural reforms. In the new millennium, Kazakhstan entered as almost the only state in the post-Soviet space that managed to stabilize the economy in a short period of time and begin to actively build up its resources. The second stage was a decade of accumulation - during the 2000s, all efforts were focused on concentrating and concentrating forces. Thanks to such a far-sightedness of our leader, the consequences of the global economic crisis, which broke out at the end of this decade, were minimal for Kazakhstan. A bright example of national success was our new capital, Astana, which embodied the flowering, power and strength of the people, and became a symbol of the new Kazakhstan, became the pride of all Kazakhstani people. This is the best evidence of our abilities, purposefulness, and diligence of our people. And today, following the strategic course of the National Leader Nursultan Nazarbayev, we are entering the third stage of our development - a decade of accelerated modernization. The changes in the program "Kazakhstan - 2020" will give a new impetus to the development of the whole of Kazakhstan. Thus, by making the rapid leap from the economic and political disruption of the early 1990s to a modern social state with a dynamically developing market economy, democratic structure, political stability, ethnoconfessional consent and recognized international authority, our leader Nursultan Nazarbayev became creator of the "Kazakh breakthrough". Indeed, the absolute support of Kazakhstanis Nursultan Nazarbayev is predetermined by the success of the reforms started 27 years ago, when a young republic under the leadership of its Leader began a grandiose path of transformation that radically changed the face of the country and society. In the first years of independence, our country was faced with extraordinary difficulties and really stood at the brink of the abyss. Industrial production fell by half, agricultural production - by one third. The shop was empty, and the machines went to scrap. Industrial enterprises stopped, the number of unemployed, actually disadvantaged people of Kazakhstan, and grew dramatically. And today we are confidently pursuing a course of improving the socio-economic structure and creating the conditions for the prosperity of Kazakhstan. All the plans of our Leader are based on the active support of the people of Kazakhstan. The secret of such unconditional trust, in my opinion, lies not only in the fact that all the goals and tasks set by Nursultan Nazarbayev have always been fully and timely. Perhaps the main thing is that Kazakhstanis know that all reforms and reforms of the First President are directed primarily for the benefit of the common man, for the sake of the future of every citizen of the country. In all its strategic plans, the Leader of the Nation succeeds in harmoniously combining such concepts as "unity", "stability" and "development." And these values are the invariable basis of all national projects in Kazakhstan, the basis of our overall success. For the people of Kazakhstan, national unity and social harmony have become not only an invaluable asset, but also a part of everyday life, an inalienable category of our mentality. While even in the West, in the most democratic states and societies, today the policy of multiculturalism is being revised, many ethnics still coexist peacefully in our country, mosques, temples, churches, synagogues and houses of worship are neighbors. In conditions of peace, harmony and stability, without sharp turns and upheavals, Kazakhstan is rapidly approaching a cohort of leading and advanced countries of the world. An unconditional recognition of the Kazakhstan model was the chairmanship of our country in such authoritative international institutions as the Organization for Security and Cooperation in Europe and the Organization of Islamic Cooperation. But the main thing is that all our achievements are irreversible, as the policy of reforms of Nursultan Nazarbayev, which is supported by an absolute majority of Kazakhstanis, is irreversible. That's why we are confidently looking to the future, despite the fact that Kazakhstan is embarking on reforms for such a level and scale as a breakthrough on the basis of accelerated industrial-innovative development for the first time in its newest history. After all, we have our national unity - all Kazakhstanis are united and mobilized around their President, whose reliable support is the most influential and numerous socio-political power of the country, the Nur Otan party is a union of like-minded Leaders of the Nation, the union of those who want to change their lives to better and has the will, skills and knowledge for this, who believes in the development prospects of our country. The Party of the President unites the most active and conscious Kazakhstani in its ranks, who, through their daily and painstaking work in the primary schools, in public receptions, in the regional branches of the party, demonstrate adherence to the national interests, directing all their efforts to strengthen the unity of the people of Kazakhstan, taking the most active part in the decision social and economic tasks facing the country. As the former British Prime Minister Thatcher rightly noted that since your independence, your exemplary policy has led your people to freedom." Perhaps pessimists believe that ethnic and spiritual difference can not closely approximate your country's citizens by doing from their assumptions, a hasty conclusion that this will lead to the weakening of Kazakhstan, but Kazakhstan, thanks to the cultural diversity of its peoples, blossoms every year, and various ethnic traditions and different faiths His positively charged energy is complemented by the power of the state, and you have become a worthy example for imitation. Relying on the firm support of citizens, deeply believing in the creative potential of his people, the President ensured the successful holding of unprecedented depth and pace of economic and political reforms. Moreover, when other newly independent states solved current problems, our country began to develop on a long-term strategy, setting its goals until 2050. The 1990s can rightly be called a decade of formation, which prepared a phenomenal breakthrough in the country's economy. At this stage Kazakhstan under the leadership of its Leader managed to pass the hardest post-Soviet transit period in the shortest possible time and carry out radical structural reforms. In the new millennium, our country became almost the only state in the post-Soviet space that was been able to stabilize the economy in a short period of time and start its active recovery. The second stage was a decade of accumulation - all efforts were put on building up resources and concentration of forces. Thanks to this, Kazakhstan was able to minimize the negative consequences of the first wave of the global economic crisis that broke out at the end of this decade. At this time, the effectiveness of socio-economic policy of Nursultan Nazarbayev was especially vivid. When even in the most developed countries social expenditures were reduced, enterprises were closed, unemployment increased, wages began to rise in our republic, construction of enterprises and roads began, and employment increased. It is vitally important for Kazakhstan to find the optimal balance between economic success and the provision of public goods, which is what I see the key task of socio-economic modernization," the Leader of the Nation said. Thus, the President continues to firmly and consistently ensure the main right of Kazakhstanis - the right to a decent life. Without legal borders, it is impossible to talk about the sovereignty and independence of the state. Especially acute and fateful was this issue for the Kazakh people, which in its centuries-long suffering story had no state borders in the full sense of the word. It was the solution of the border issue that became our top priority for our Leader. Since most of the borders Kazakhstan has with the great powers - Russia and China, it is possible to imagine the magnitude of the difficulties in achieving the desired goal. Moreover, neither in the times of Tsarist Russia, nor during the Soviet period, did it manage to resolve the borders between Moscow and Beijing. Kazakhstan has done many years of work to demarcate the border with the Russian Federation, which ended with the ratification of the 2006 agreement on the Kazakh-Russian state border. Earlier, in 2002, the international legal registration of the state border between Astana and Beijing was completed. This is how the centuries-old dream of many generations of Kazakhs has come about, their sacred land has found state borders that are recognized by the world. And this historic achievement was made possible thanks first of all to the great will, the rare human charisma and the high diplomatic talent of our First President. Another fundamental consolidation of the Kazakh statehood was the birth of a new capital. I think that Nursultan Nazarbayev's brave and extraordinary step was inspired not only by the geopolitical and economic reasons known today, his rare strategic vision, but also by the great faith in the creative potential of his people and the future of independent Kazakhstan. Today, we see with our own eyes that the ideas of the Leader of the country are being realized in full and even ahead of schedule. Beginning with the reconstruction of the old right-bank part, the city stepped over the Esil River, and literally for several years on its left bank, practically in the bare steppe, the bright, dream-like future aspiring to the future of Astana rose. President of Russia Vladimir Putin once aptly remarkd that after the collapse of the Union, while the rest, based on the republics earlier, gathered with thoughts, despite any financial difficulties, Nazarbayev built a modern metropolis in the heart of Eurasia: a feat, a real feat. Presidents of other countries with admiration note that Astana is the youngest and most beautiful city. Our Astana is not just a building made of stone, iron and glass, but a city with its own soul. The peculiarity of our capital is that architectural and building solutions do not forget about the spiritual and cultural component here. Thanks to the President's vision, our capital is a city of music that is not frozen, as architecture is often called, but alive and colorful, a city for life and creativity. Today, beautiful Astana in the heart of Eurasia has become not only an impressive symbol of the creative power of independent Kazakhstan, but also confidently turns into one of the most authoritative capitals of the world. In the conditions of crisis, turbulence and risks, the whole of mankind desperately needs people who see the tendencies of the development of world events and can direct people in the right direction by correct words and verified actions. This is the personality of the First President of Kazakhstan Nursultan Nazarbayev. He is truly a global leader. He takes preventive steps to ensure the security not only of our country, but of the world as a whole, in the present and in the future. Often Nursultan Nazarbayev is compared with the American "founding fathers" of a number of countries and other famous historical figures. All of them are united by the fact that they are great reformers, combining the best world standards and practices with unique national development specifics. However, all these analogies are arbitrary. After all, Kazakhstan had a completely different political situation and other starting opportunities for modernization. The head of state had to take our country out of the post-Soviet ruins, take extraordinary and bold decisions in very difficult times for Kazakhstan, create a market economy and turn the country into an influential international player. In philosophy, there is a category of "necessity and chance", stating that in life there is no pure chance. Everything in our life is natural. All phenomena, events arise under the influence of some cause, and, therefore, they could not fail to arise. We just do not know these patterns and therefore we present them as an accident. Nursultan Nazarbayev became the leader of the nation by chance. His biography shows that he was a child of inspiration, striving for the main purpose of life, always knew his way and did not turn from anywhere. In the natural sciences, there is a law of the transition of quantity to quality. Proceeding from this, in life from the set of gifted, educated people the most talented, brilliant and promising ones are being forged ahead. They pull the rest of society behind them. Our President constantly raises the entire nation to its highest level. But at the same time, he does not stop at what has been achieved, develops further and goes forward. For the Leader's path is an eternal striving for perfection. Without fear of change, our People's President easily assimilates new knowledge, passes them through the mind and makes part of his life experience. Education throughout life should be the credo of every Kazakhstani. The initiatives of the Leader of the nation are filled with energy and enthusiasm. Nursultan Nazarbayev himself attracts with his cheerfulness, activity and perseverance, charging with inexhaustible energy all around. His strategic thinking, the ability to systematically, programmatically approach the achievement of goals, make the right decision in difficult situations, the ability to analyze and anticipate possible scenarios of world development are universally admired. It should also be noted that thanks to the diplomacy, talent, huge international prestige of our First President, the Central Asian country claims for this post for the first time in the history of this organization. This is a new stage in the development of Kazakhstan and its new place in the global world. Today, Kazakhstan is a state with a good reputation and influence in the international community, advocating peace and security, which is steadily fulfilling its international obligations.